Use and disclosure of this software is restricted and governed by the Terms and conditions. This software contains unpublished, confidential and proprietary information of PetClub 247 LLC and is protected by copyright, trade secret and trademark law.  Access and use is restricted to PetClub 247 authorized users for PetClub 247 business only. This system may be monitored for administrative and security reasons.